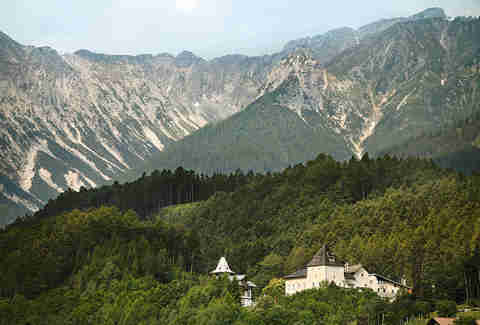 Located a few hours outside Munich, the setting for the Starkenberger Brewery castle is pretty ridonkulous, though, with the glory that's awaiting for you inside, you probably won't want to spend too much time out there. 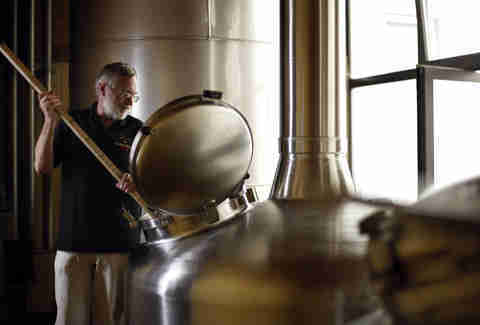 As a brewery Starkenberger's been at it for more than a hundred years, and is currently (and always has been) run by women. This bearded dude is merely one of their minions. 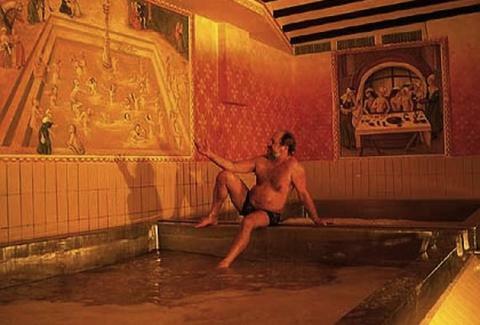 Residing in the old fermentation brewery, there are seven total pools in a Turkish-bath-like room, each of which are heated and contain 12,000L of water enriched with 300L Biergeläger (remote yeast). 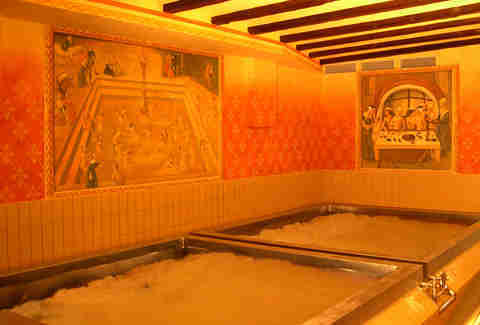 Fun fact: ever since the days of ancient Egypt when Cleopatra bathed in beer while Mark Anthony was off conquering empires, beer bath's have been rumored to have a healing, restorative effect. You've gotta make reservations in advance but for $298/ pool (and an additional $6.50/ person) this could be you sharing a beer pool with blonde coeds. Your two hours of beer bathing also come with beer crackers and a "Tyrolean meat spread" plus one non-swimmed-in bottle of suds per person; because actually drinking the pool beer would be insane... right? ?